By FOR THE FULL INTERVIEW, TUNE IN TO "THE AXE FILES" ON CNN SATURDAY AT 7 P.M. ET. 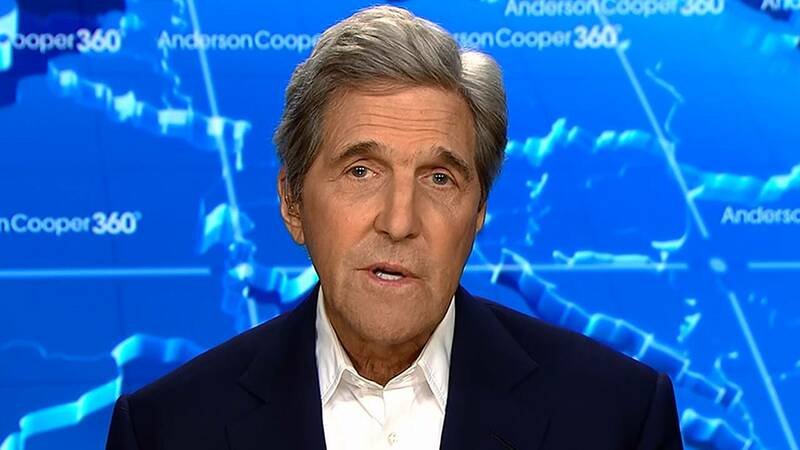 (CNN) - Former Secretary of State John Kerry says President Donald Trump's actions on the international stage do not help the United States and show he is not a negotiator. "This is the pull-out, walk-away presidency, and it is not enhancing the interest of the United States of America," Kerry told David Axelrod on "The Axe Files," airing on CNN on Saturday at 7 p.m. ET. "This President is not negotiating; he doesn't negotiate. This is a man who claims to be the world's greatest negotiator. What is he negotiating?" Kerry said, citing Trump's decisions to pull troops from Syria and Afghanistan, pull out of the Trans-Pacific Partnership and withdraw from the Paris climate accord. "President Trump has isolated America and taken us backwards in terms of institutions that were structured ever since World War II to bring the world together," Kerry said. Kerry also slammed Trump declining to endorse the US government's assessment that Russia interfered in the 2016 presidential election, which Trump did during a news conference with Russian President Vladimir Putin at the Helsinki summit last year. "When a President of the United States capitulates to the President of Russia, and ... says (he) believe(s) Putin, not (his) intelligence community with respect to what happened in America, that's a moment of shame," Kerry said, referencing remarks earlier this month from Secretary of State Mike Pompeo, who said in a Cairo speech that "the age of self-inflicted American shame is over." When asked about possible impeachment for Trump, Kerry cautioned politicians to wait for special counsel Robert Mueller's Russia investigation to be complete. "I think it's a mistake to have the word 'impeachment' floating through the air right now, because it politicizes things. I think the evidence to me of high crimes and misdemeanors is an important standard," Kerry said. "And I think it would be a mistake for Democrats to sort of run headlong in without evidence. Let's see what Robert Mueller says. There is an important investigation taking place in the country, and I think the American people need to digest whatever that is and we need to listen to the American people." In regard to running for president in 2020, Kerry said he hasn't "taken anything off the table" but noted the crowded field already on the Democratic ticket. "I don't think it's important to be talking about who's in and who's out. What's important to talk about is where do we need to go? Where do we need to go as a country? We are not doing the great things that America should be doing," Kerry said, adding, "I'm going to be in the middle of the debate no matter what, period."